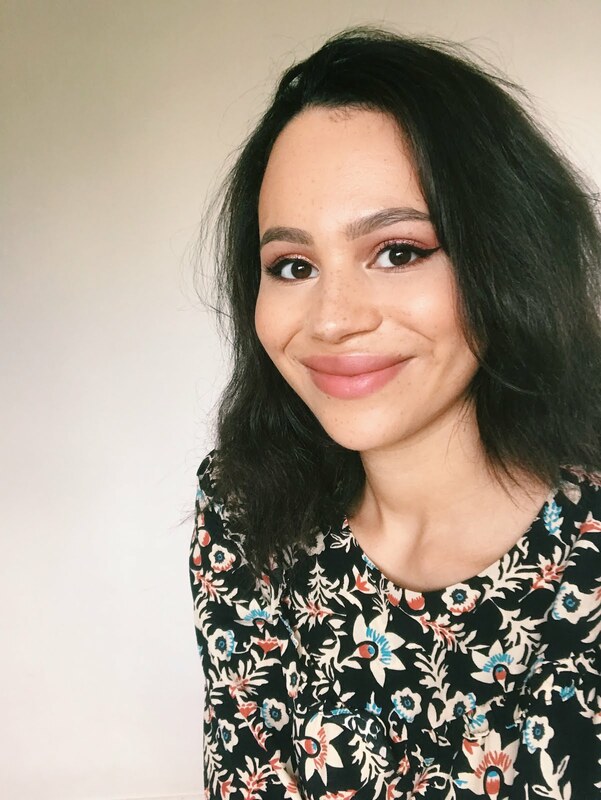 I've tried out what feels like dozens of concealers and I must admit it's a product I tend to spend on more often than not, however I had a look through my stash and picked out a couple of dupes to compare for you so you can decide whether you want to save or splurge. The Nars is my absolute favourite, holy grail, life-changing etc. etc. etc. concealer. It comes in a decent amount of shades and it's not too drying but gives a suitably satin finish, allowing you to look radiant but shine-free. It's definitely full-coverage so I tend to use it for blemishes. Under the eyes it can work, but I personally like something a little more lightweight. Some people use it for highlighting but again I find it a bit heavy for that, though it could work with a damp blending sponge. It's effortless to apply and I don't find that it creases. My drugstore dupe for the Nars is Collection's Lasting Perfection. I know everyone says the Maybelline is a dupe for the Nars but in my opinion, the formulas are completely different and this is the closest alternative on the high street. It's really tricky to find a full-coverage drugstore concealer, especially in a creamy formula so this one has a cult following. The coverage is beyond amazing. It's incredible on blemishes but I think it's too much under the eyes (even moreso than the Nars). It comes in a very limited colour range, which is the main reason I get very little use out of mine (this is the darkest shade it comes in). I do also find it wears off a lot during the day if used under the eyes. So, which one do I recommend? If you're willing to invest then definitely the Nars, however if you can find a colour match in the Collection, then go for that as a blemish concealer as it really is impressive for such an affordable product. Either of these are miraculous at covering red, angry blemishes. Whilst makeup of course can't 'erase' the raised texture of breakouts, these two will make them as invisible as possible. 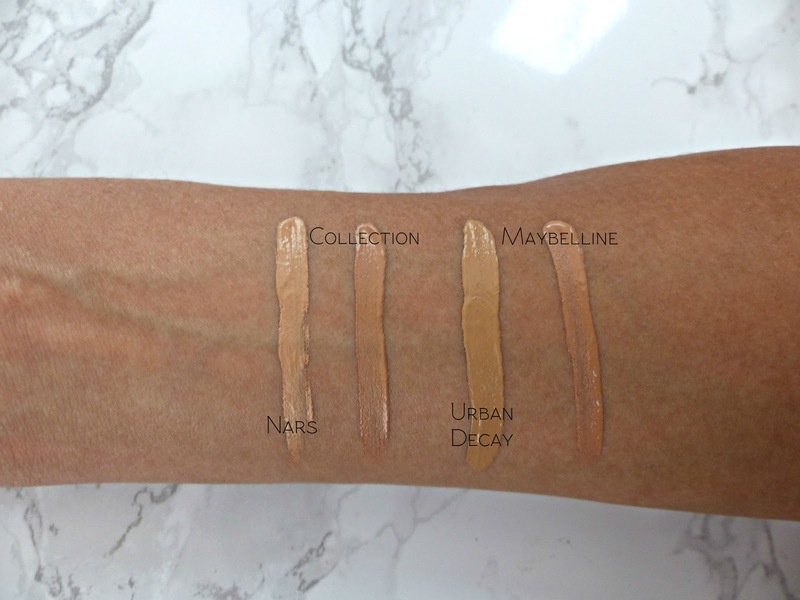 The Urban Decay concealer is again often compared to the Nars (I actually have a post comparing the two here) however the formula is really different. The texture is quite 'wet' (though it dries) and it's a very light, easy-to-blend texture. The finish is very natural and I would say it's a medium coverage. It works nicely under the eyes and also on less-pronounced blemishes. The more hydrating formula does mean it's a little more prone to creasing but it's much better if you find the Nars a bit too thick and drying. The colour selection is ok, I'm going to say. There are a few shades, aimed towards warm, cool or neutral undertones, however there's a big jump between each shade. This is my dupe for the Urban Decay and for a drugstore concealer it comes in an impressive selection of colours. I'd say it's a tiny bit lighter coverage than the Urban Decay offering but it has a similar hydrating, easy-to-blend formula that's perfect for summertime. It's also a little more watery in texture when compared to the 'fluffiness' of Naked Skin. The colour isn't perfect for me and it does have a slight tendency towards creasing, however I still really like this concealer and think it's a viable alternative to the Urban Decay. I think the formulas of these two are extremely similar so why not save a bit of money? As always, the cheaper option is the worst colour match for me, however it really depends on your skin tone. I think both the Urban Decay and Maybelline offerings work really well under the eyes and on moderate blemishes and imperfections (however if you suffer from severe breakouts or hormonal acne, I don't think the coverage is enough so go for the Nars or Collection). Have you tried any of these concealers? If you have, what did you think of them? If you haven't, will you be saving or spending? 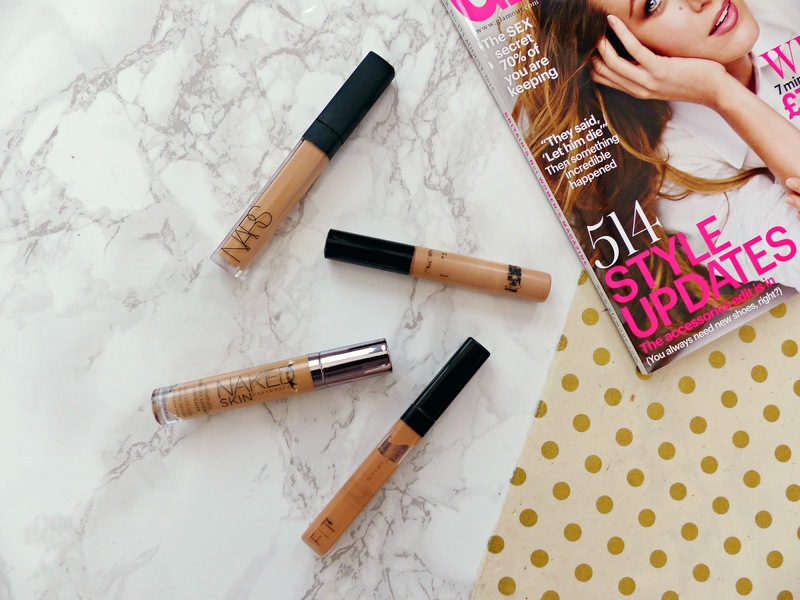 I've heard so much about the UD concealer recently, I need to give it a go! I really want to try the UD concealer I just wish you could try before you buy! Might pick up the Fit Me one beforehand. I use the Collection concealler all the time! I do love the Collection concealer for the coverage but just a shame I can't use it under my eyes as it's so drying/matte! Guess that's what makes it so good for blemishes though. If it was a tiny bit creamier it would seriously be the perfect concealer!! I absolutely love the NARS creamy concealer so I should probably try out the collection as a cheaper alternative! I'm still dying to get my hands on the UD one though! I completely agree that the Collection is a dupe for Nars, however, having never tried the Fit Me (gasp! I know) I couldn't say about the UD, but I do love UD. I've been wanting the NARS concealer for a while, you just sold me on it! The Maybelline Fit Me is back in my rotation these days. Knowing that the Urban Decay Naked Skin Concealer is similar really makes me want to try the UD one now (it wasn't really on my radar like that before). 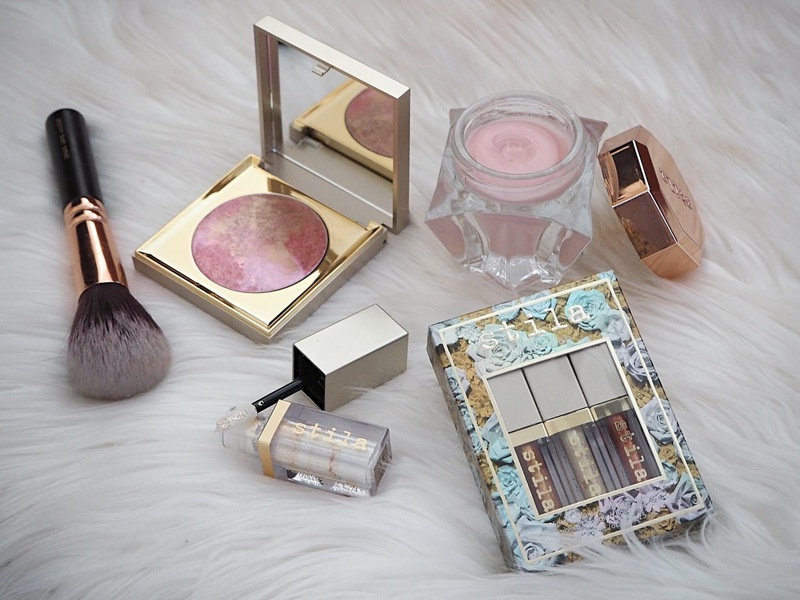 I've only tried the two drugstore ones but planning on picking up the Urban Decay one! I'll pay a stupid amount for foundation, but I am SO tight with concealer! So of course, for me its Collection all the way! This post was so fab!! I love love love my UD & NARS concealers so seeing that there are dupes out there is great, i'm defo going to be trying these out! I haven't tried any of these yet but hey, it's never to late. May I should now! I just picked up the FIT ME one, I like it because it also brightens up my under eye unlike others I have. Another good drug store one is the Rimmel 2-in-1 that's a great one, just wish there was more in the squeeze tube. I love coverage of them both they are both great, specially I just use them to hide my blue vanes under my eyes. Also they work great under my BB cream with out creasing. The NAKED concealer is something that is on the list of things to try, looks so lovely. It'd be helpful if you mentioned the shades of each concealer.